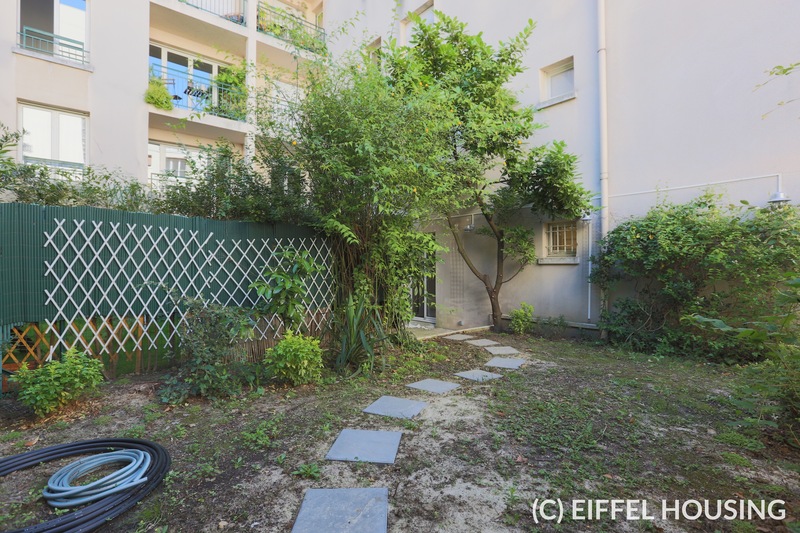 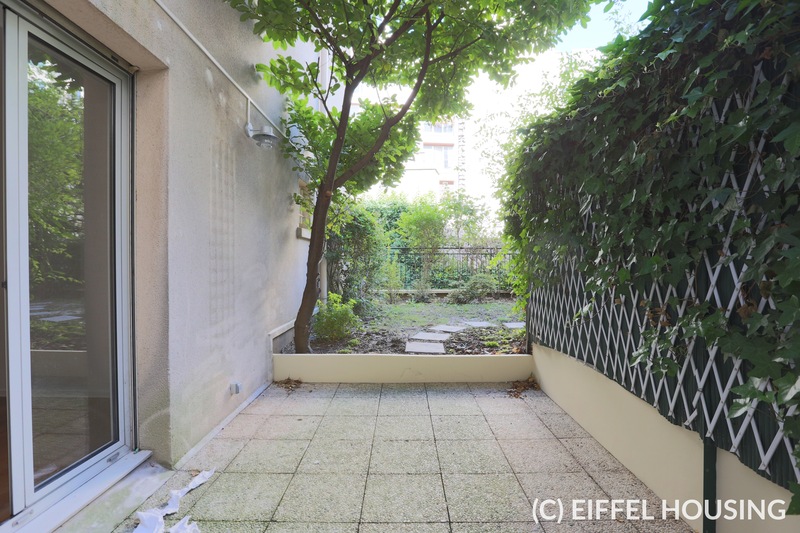 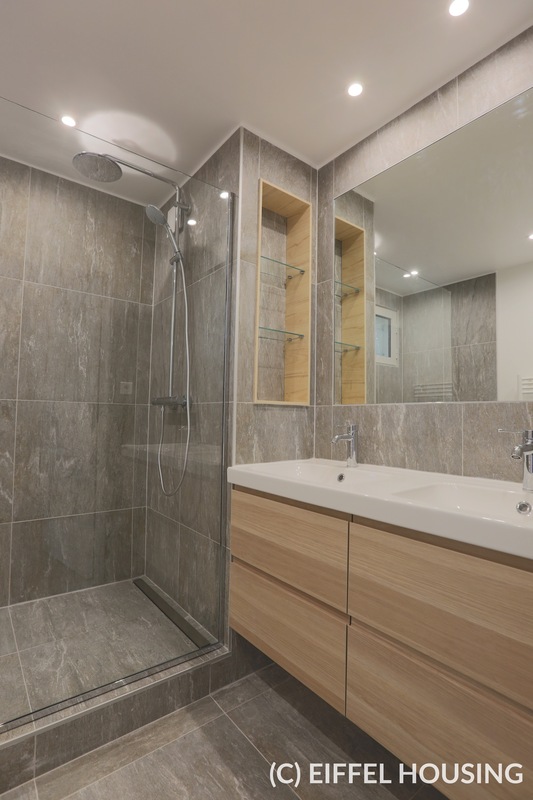 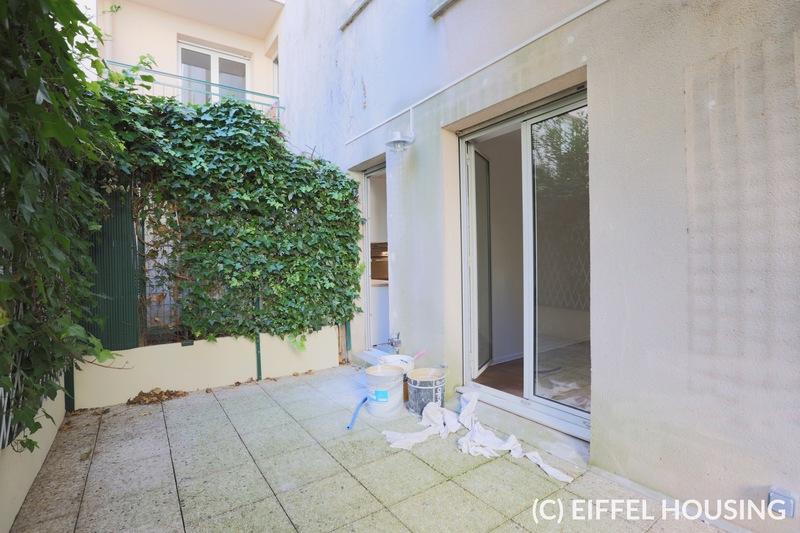 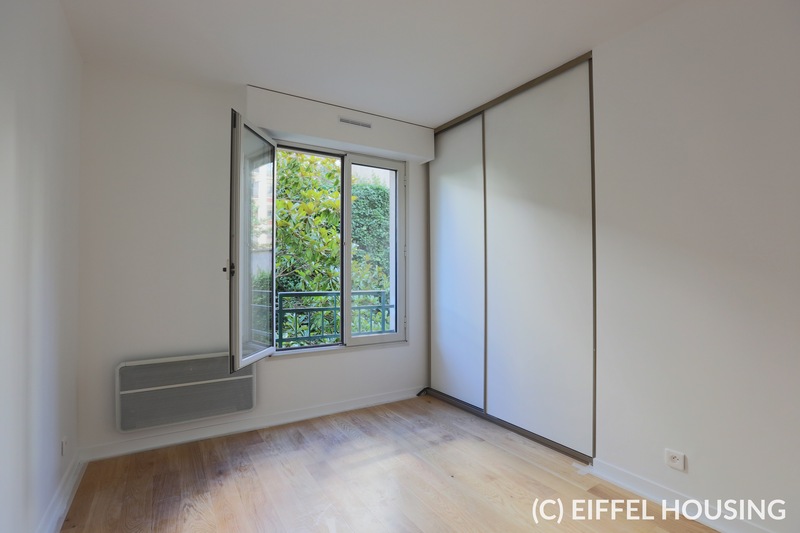 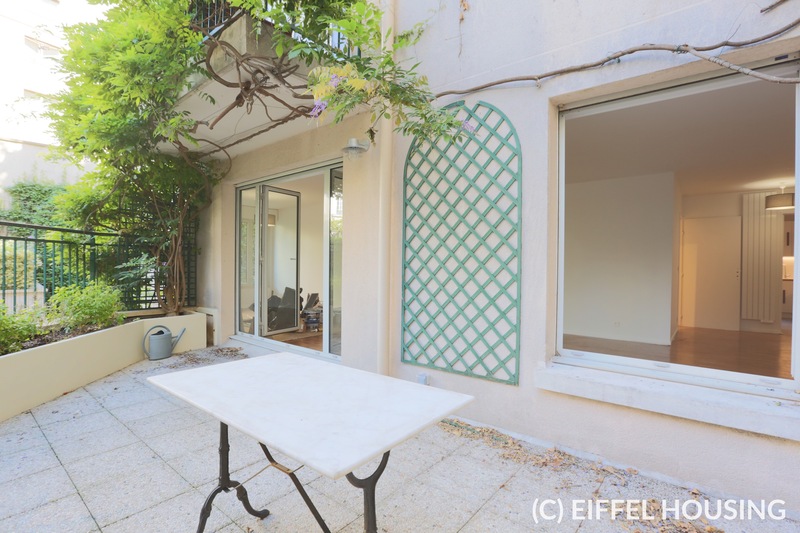 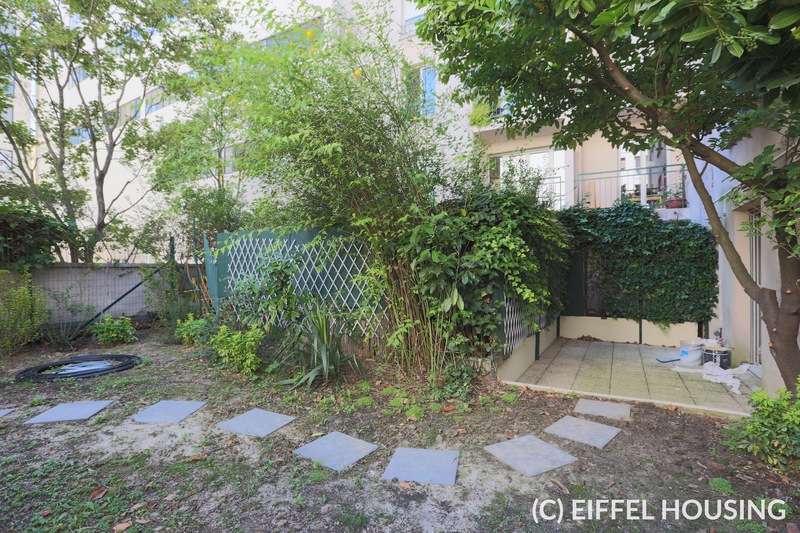 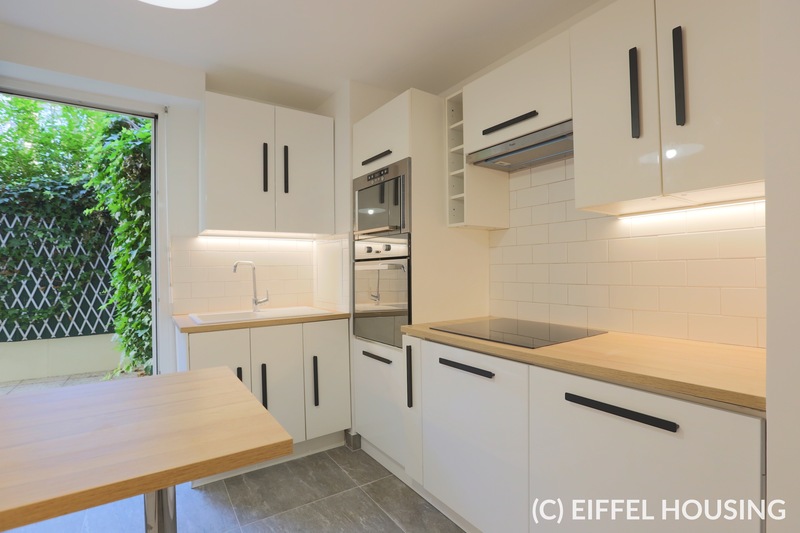 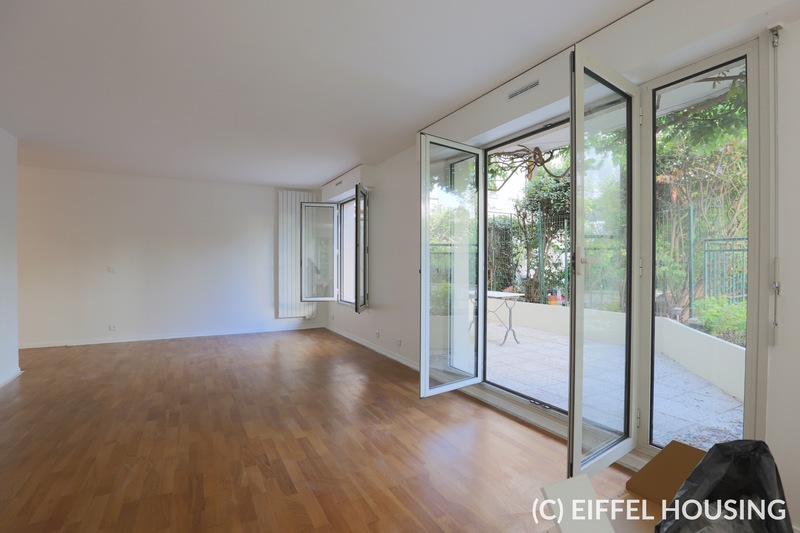 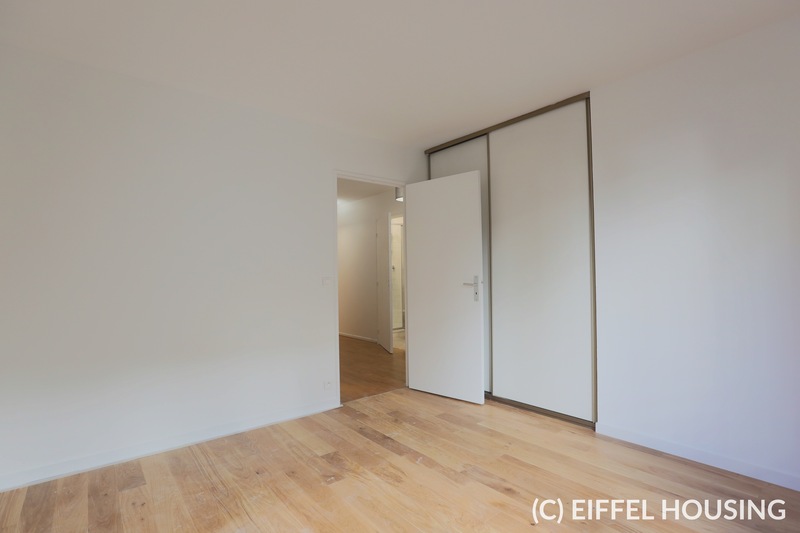 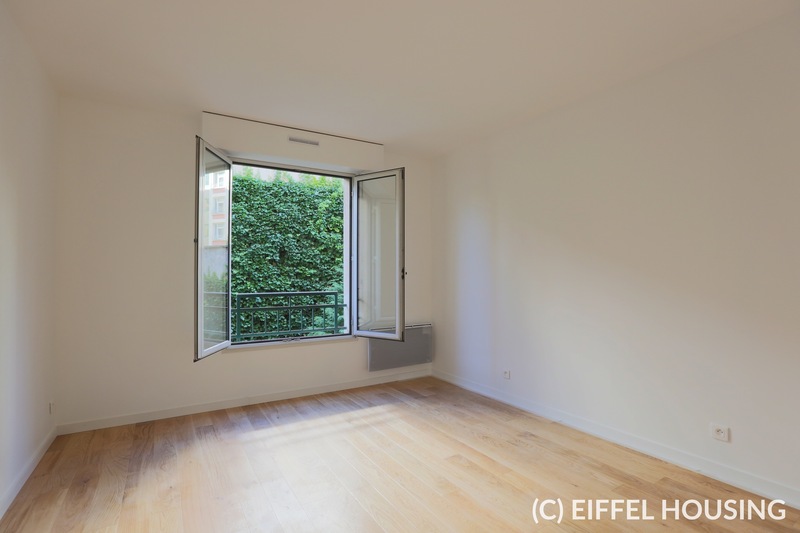 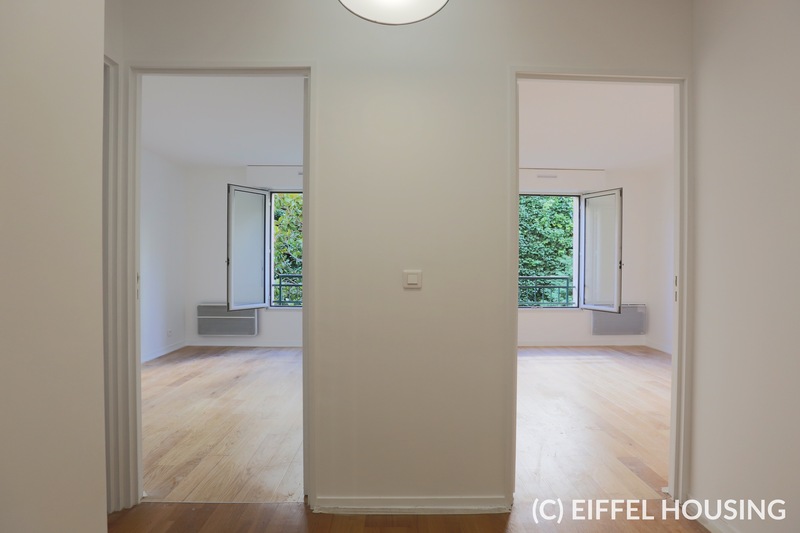 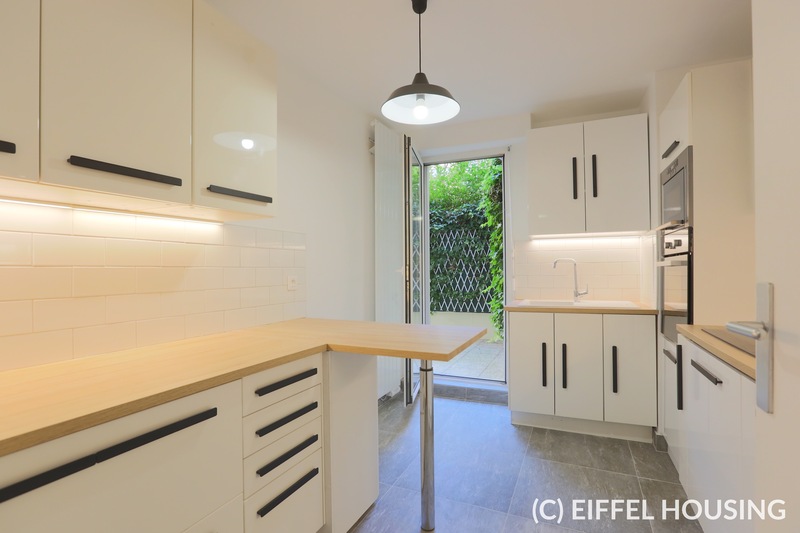 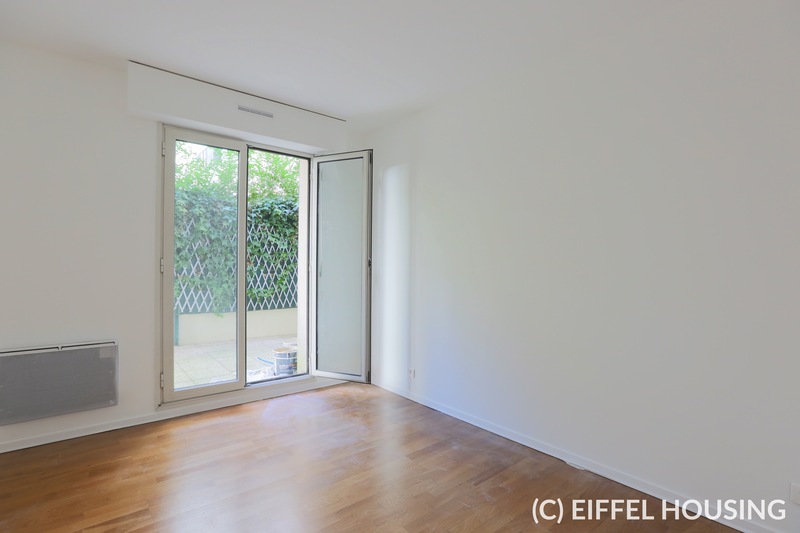 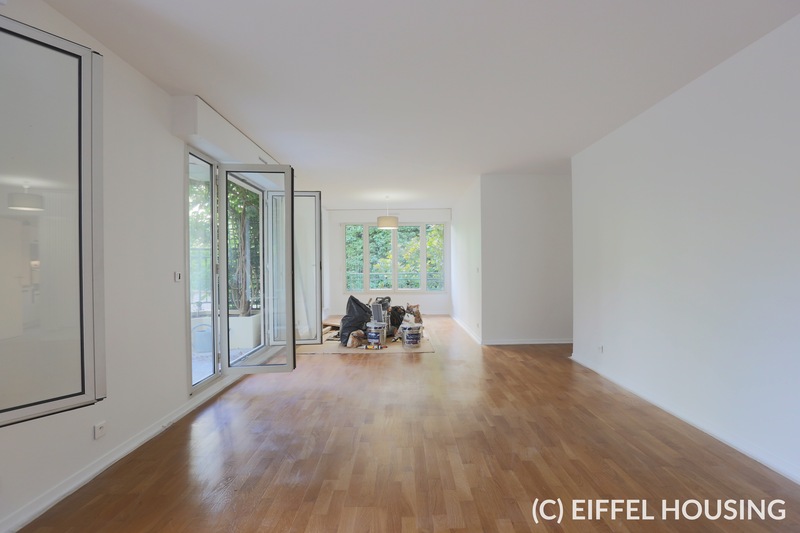 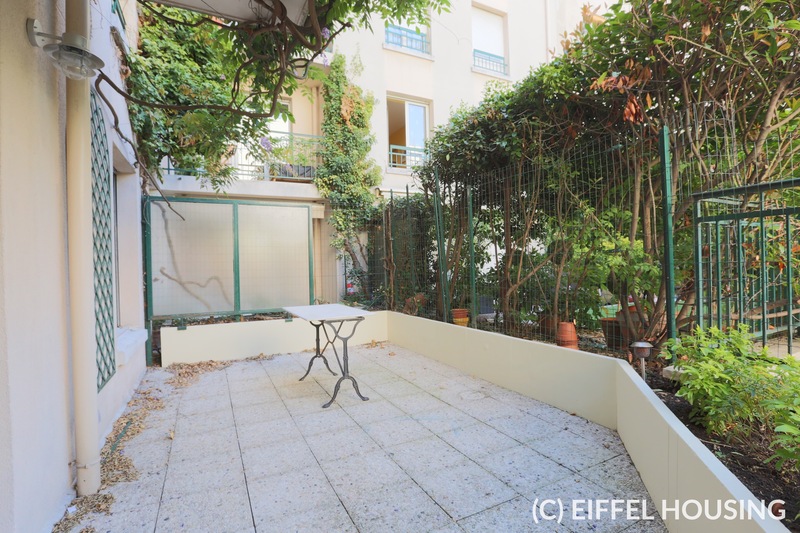 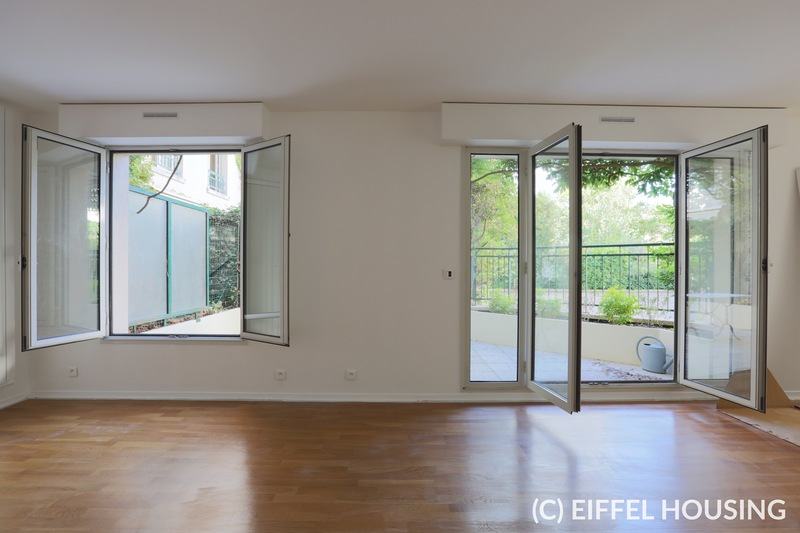 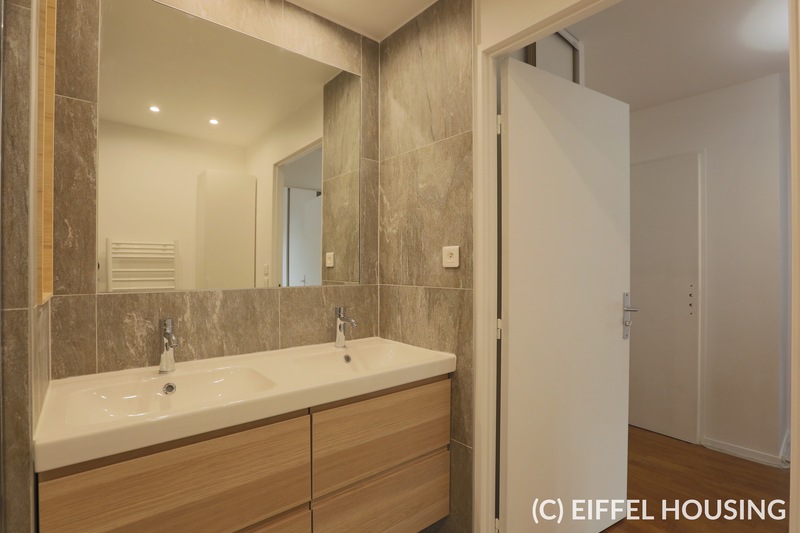 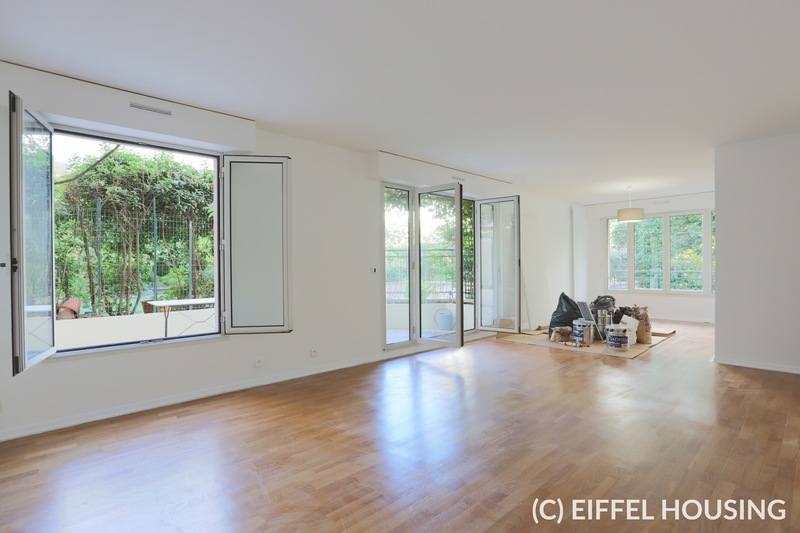 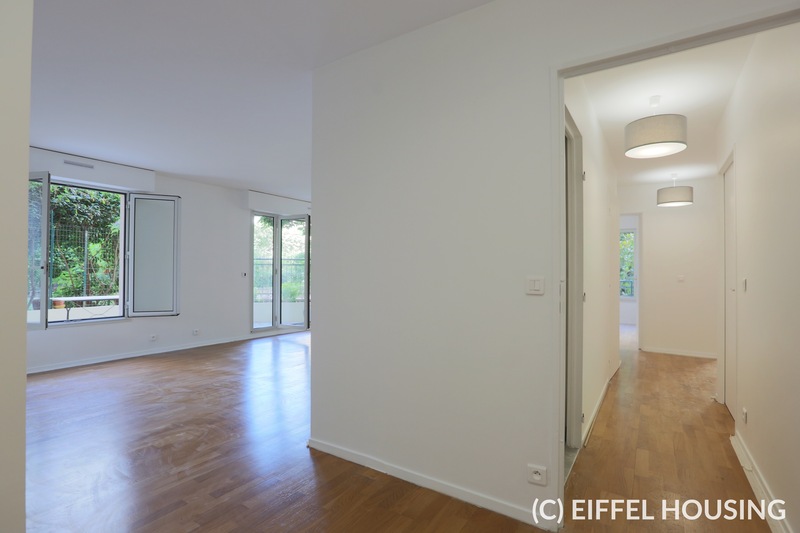 Rare - Renovated flat with spacious terrasse and garden, totalling 86sqm of exterior surfaces. 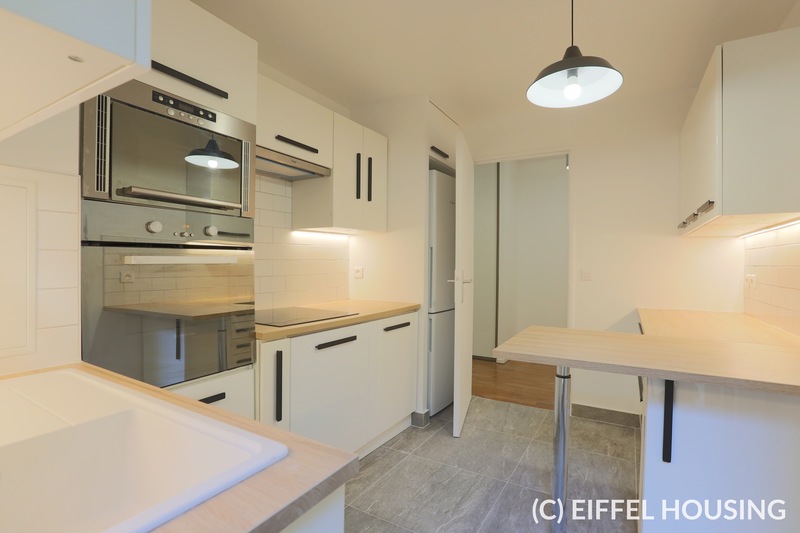 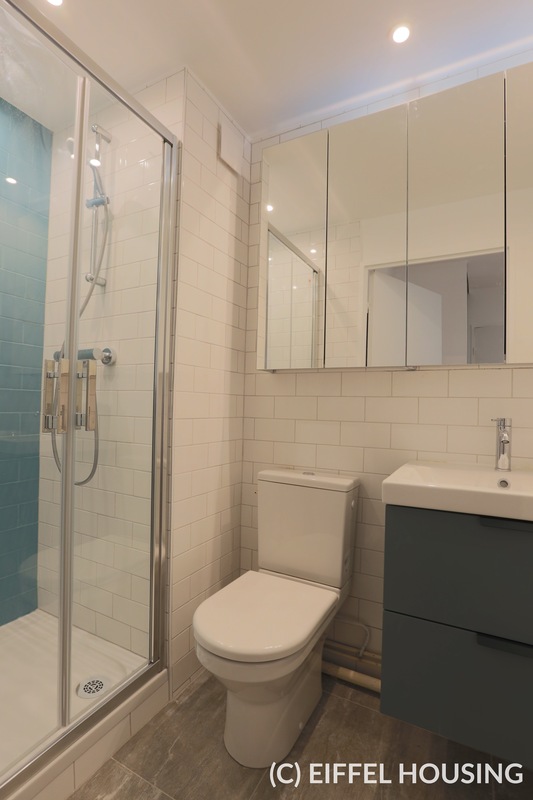 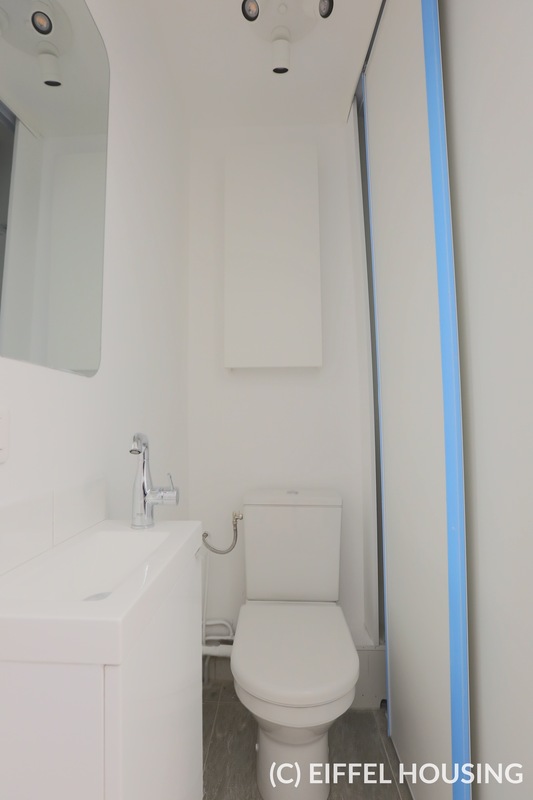 It features a large living room, 3 bedrooms, 2 bathrooms, 2 toilets (1 separated), 1 entirely equipped kitchen. 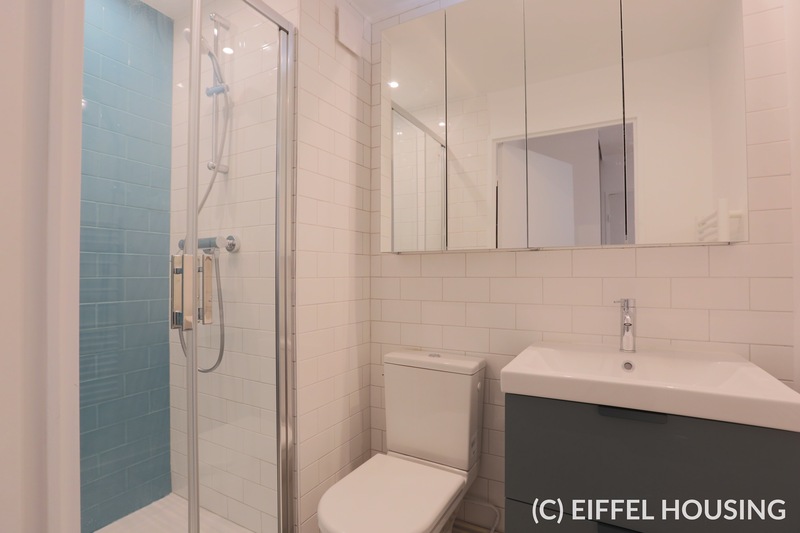 First floor with lift, cellar, care taker, intercom. 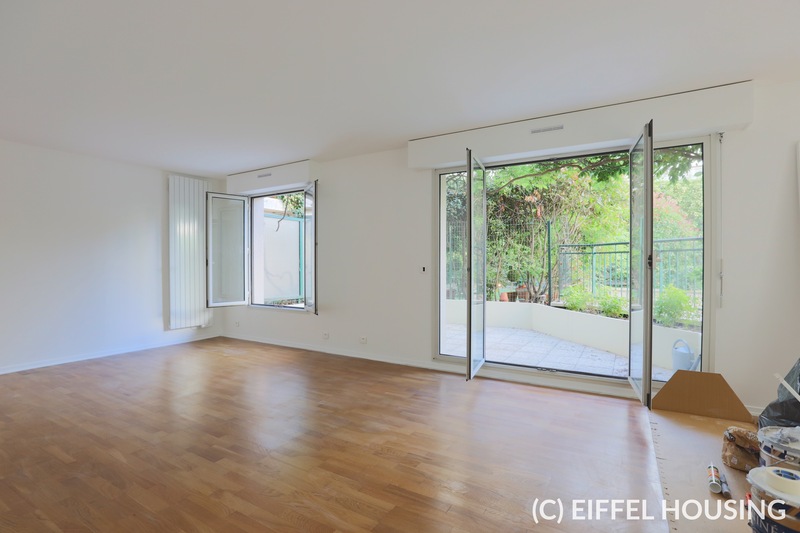 Opportunity to rent a closed parking space in the building (200 euros on top).